Stephen Harrison Snooker Academy staged the UK Wheelchair Snooker Championship in Sheffield 2013. 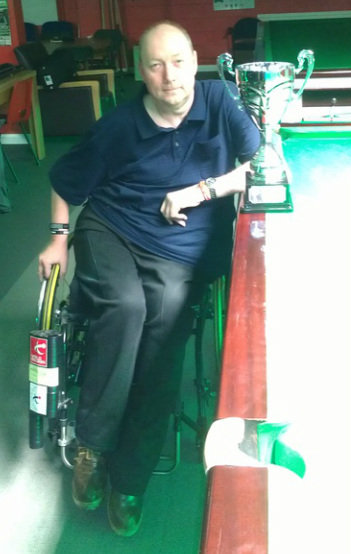 The event is aimed at kick-starting disabed snooker and is in memory of Stephen's father Ray Harrison who was World Paraplegic Snooker Champion gold medalist in 1985. Stephen says, "This showcase event is the beginning of my dream to reintroduce snooker back into the paralympics. Mick langley who won the paralympic gold medal in Seoul in 1988 was the last time snooker was in the paralympic games. Mick says, "It's great what Steve's doing for disability snooker, as a player I would like more tournaments, I think what Steve's doing for the game is fantastic." 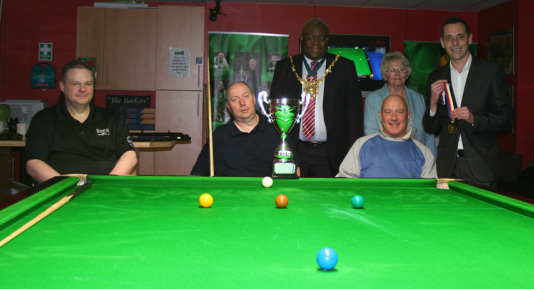 The Lord Mayor of Sheffield came along to support the event and also played a frame with the participants. Stephen goes on to say, "This is only the beginning, we have a plan. I have met with a number of organisations including World Snooker Chairman Jason Ferguson who wants to get behind the idea. We have planned a national disability snooker event to take place in September 2013 and I will be meeting again with the other parties to push for snooker to be reinstated as a paralympic sport."